The topic is active suspension. The technology is like a motorsport form of ballet. If you’ve witnessed the art and beauty of a trophy truck in real time, then you’ve enjoyed a display of mechanical finery that make us proud to be thinking humans. 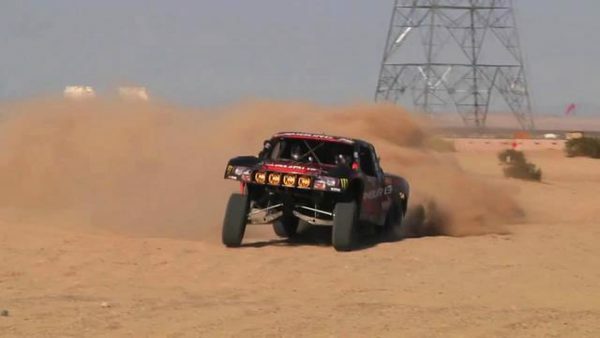 Common in trophy trucks racing the Baja, active suspension systems run from on-board systems that control the reaction of the shocks and tires, keeping the frame and cab relatively level and still. This is especially valuable in the violent and unforgiving remote environments where trophy trucks go. Even better, active suspension kills the perception that motor heads are simple beings. In fact, theres are scientists, inventors and artists. But now let’s have a look at the varied types of active suspension. There’s hydraulically actuated suspension, electromagnetic recuperative suspension, adaptive, solenoid valve actuated, and magnetorheological damper suspension. Yes, these systems are complex. But the end result is a grace and mechanical deftness that makes these beasts behave as if they are almost weightless. So the next time you’re watching a trophy truck race, with any luck you’ll be paying special attention to the axles, and watching the almost supernatural kinetics happening there. We happen to think it’s beautiful.